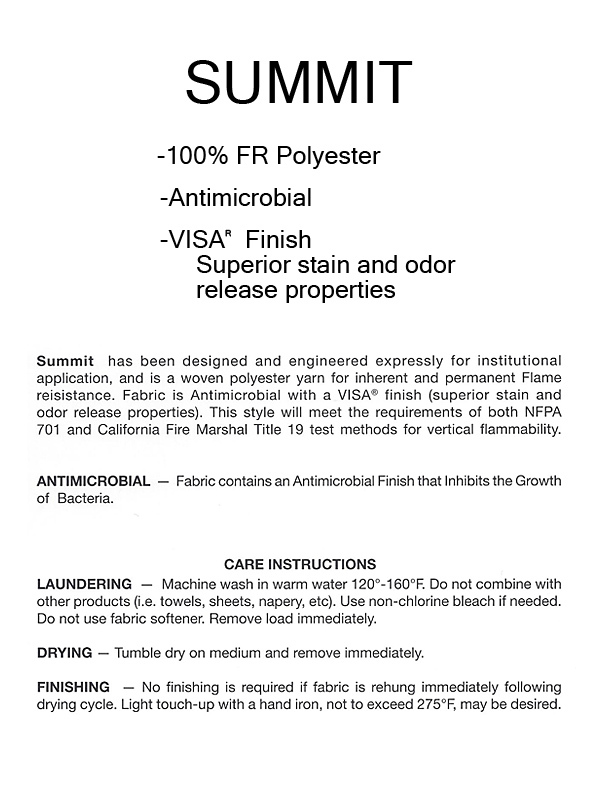 Summit Cloth with a VISA Finish is a 100 percent polyester, flame resistant material specifically designed for institutional use. The fabric is Anti-Microbial and has superior stain and odor release properties. Mesh Information - Standard height is 20 inches. Standard color is white. Alternate heights and colors are available for custom order. Colors on screen may not be an accurate representation of the actual color due to your monitor settings. Please call us for swatch samples, more detailed descriptions, and care instructions. We will send them to you NEXT DAY AIR.